I was hoping to find out where and when this brooch was made, and how much I should insure it for. 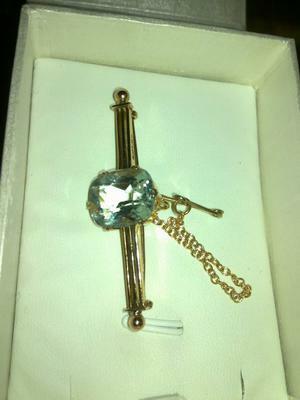 I think that it is 15ct with an aquamarine that is 13x11mm. it has the hallmark W.15.D in a rough rectangle, and some light engraving that says (i think) 43/9 BR/x.